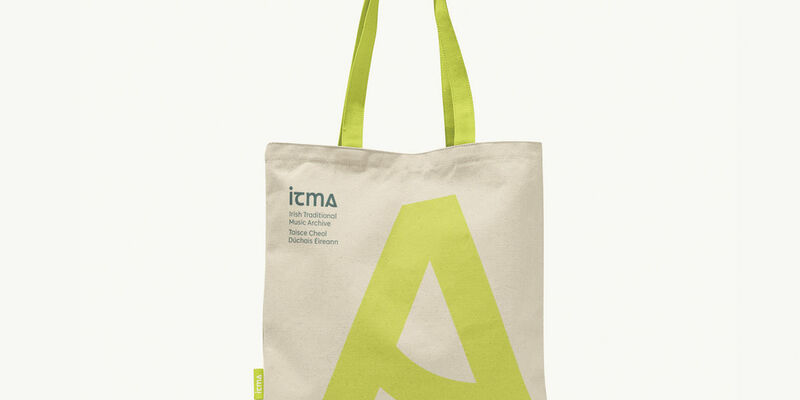 Over the past 18 months we have been working closely with Red Dog to develop a new visual identity for ITMA. Managing Director at Red Dog, Mary Doherty, has been kind enough to put together her reflections on what has been a new and inspiring process for us here in the Irish Traditional Music Archive. 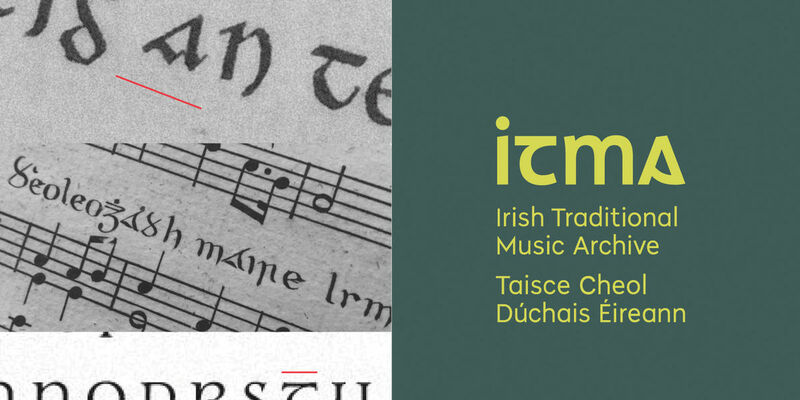 The Irish Traditional Music Archive (ITMA) acts as an amazing resource for this dynamic, shape-shifting art form, one that is at once an intrinsic part of local Irish communities and part of an astounding global interest. 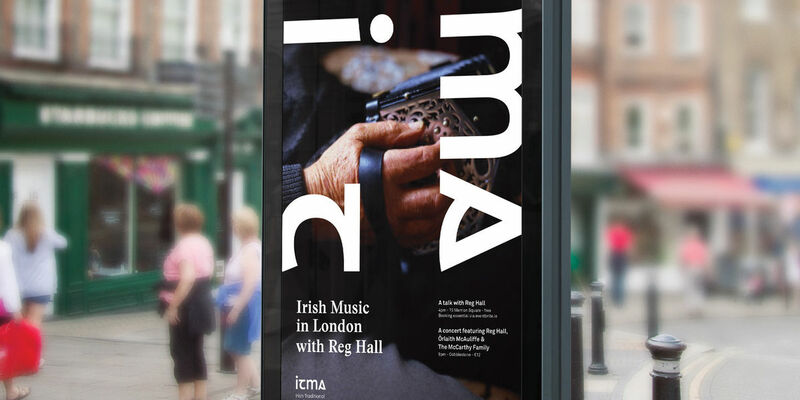 Irish traditional music is a living tradition and it was this that attracted Red Dog as designers - we wanted to create an identity that would reflect this and breathe life across all of ITMAs touchpoints. While Irishness is a key part of what ITMA is about, giving expression to this needed to be done in a nuanced and sensitive way, avoiding any overused clichés. We were intent on delivering an identity that denotes Irishness, builds recognition but has a distinctive modern twist. Colour will play an important role in the embedding of the new identity - we totally embraced green - and why not! So where did we begin? We began as always by listening. We ran several workshop sessions and held one-to-one interviews – these were very motivating as the ITMA staff themselves really believe in the great work they do and feel they have so much more to offer in the future. All of our rich learnings formed the creative brief – a document which outlines the why, who and what to our design team. As visual research they felt that they needed to roll their sleeves up and go into ITMA and touch/feel the pieces they have there, look at instruments, listen to music and review the hundreds of printed pieces they have there (which anyone can access by the way). Our design team immersed themselves in some of ITMAs incredible treasures at their Merrion Square building and found an extensive use of Gaelic type (sometimes called Irish type, or Gaelic script) - a family of insular typefaces which was devised for printing Irish. They feature heavily throughout Irish traditional music from lyrics in songbooks to pub signage where the music is so often heard. It had been decided, as a finding from our workshops and interviews with ITMA and other stakeholders, that elevating the acronym ‘ITMA’ was critical to building brand recognition and introduce simplicity and clarity. Therefore a logotype made up of these letters was our first point of exploration. This proved to be successful and what you now see was founded on a modernised version of one of these Gaelic typefaces and was carefully crafted to be both contemporary while paying homage to its historic origins. The letter A in particular is beautiful with a ‘bow’ like detail inspired by traditional instruments like fiddles and harps. The intention across comms is to allow the letterforms to simply dance - to move up and down, sideways and upside down if it suits. We were intent on delivering an identity that denotes Irishness, builds recognition but has a distinctive modern twist. Colour will play an important role in the embedding of the new identity - we totally embraced green - and why not! So a range of greens will be employed as their core colour and we have introduced a warm red to act as a pop of colour when required. I would like to take this chance to thank Mary Jennings who worked on the strategy piece, Catherine Robertson who was lead designer on the project and our creative director Paula McEntee. I of course would also like to thank Grace Toland (a fellow Inishowen woman) and Piaras Hoban for being a pleasure to work with. Our combined goal, of client and agency, is to connect the historic and contemporary, and engage multiple visitor generations. We wish ITMA well and look forward to seeing this now out in the great wide open - playing, dancing and singing its way around the world.